Treating patients via virtual reality is already possible, and so is the training of tomorrow’s doctors. In training or in the operating room, 21st-century medicine is using VR to offer better treatment to patients. With the 3D immersion offered by this technology, students learn better, which in turn improves patient care. Virtual reality is used to help and treat patients for more and more conditions such as anxiety, stress, visual impairment, phobias, and mental disorders. 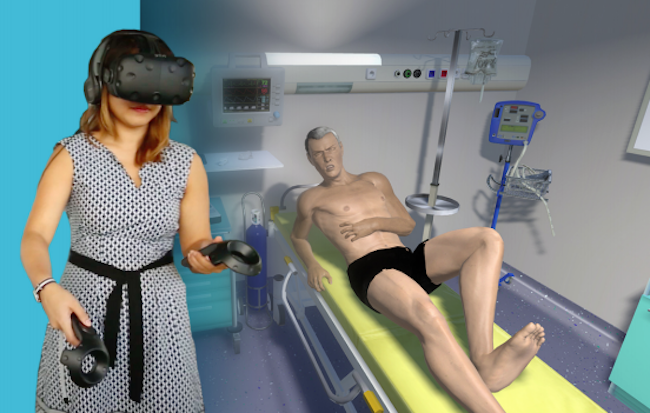 It is also used to train healthcare professionals: tomorrow’s doctors have already been experimenting with VR with very tangible results for their patients. SimforHealth, a start-up from Bordeaux which belongs to the Interaction Healthcare group, specialises in e-healthcare for professionals. 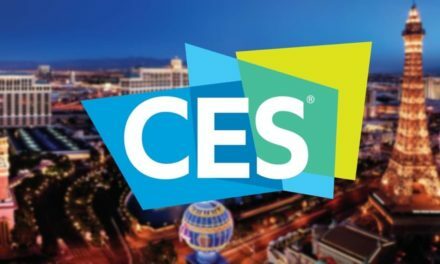 During the last CES in Las Vegas, SimforHealth presented a VR experience for medicine students. The project takes students into a virtual world where they play the role of a doctor, who must face an urgent situation and cope with stress. “3D immersion is a great way to learn how to manage your stress and make quick calls,” Sophie Campion, International Project Manager, explained to website frenchweb.fr. In Las Vegas, SimforHealth also unveiled MedicActiv, an international platform where healthcare professionals can access and share clinical cases, and hospitals will be able to share their own cases. 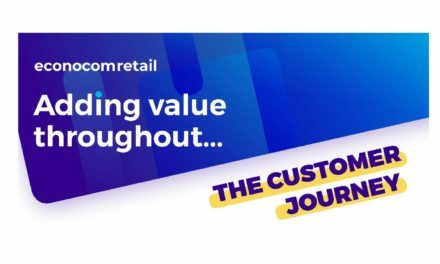 MedicActiv is intended to improve training in the medical sector, by making it “more immersive, more realistic and more collaborative”, said Jérôme Leleu, CEO of SimforHealth and Interaction Healthcare. 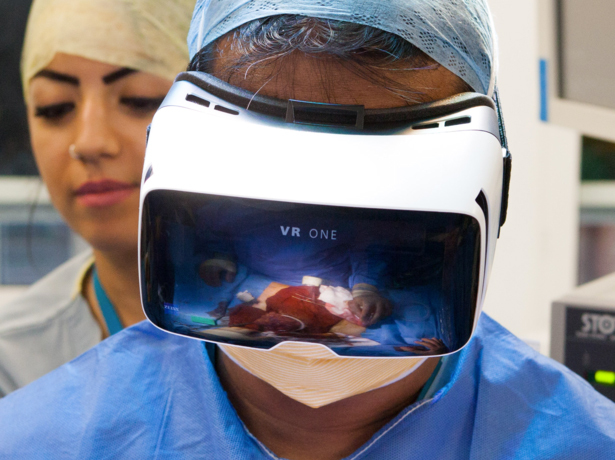 With VR headsets, users can try surgery techniques and several medical devices, as shown by the experiment lead by the Royal College of Surgeons which uses Hololens headsets. Trainers thus use new technologies based on virtual, mixed and augmented reality to train student surgeons. The potential for VR in medicine is enormous and will be reinforced by additional touch-based technologies. In Tokyo for example, the autonomous holographic computer Hololens was used to prepare automated prostate surgery. 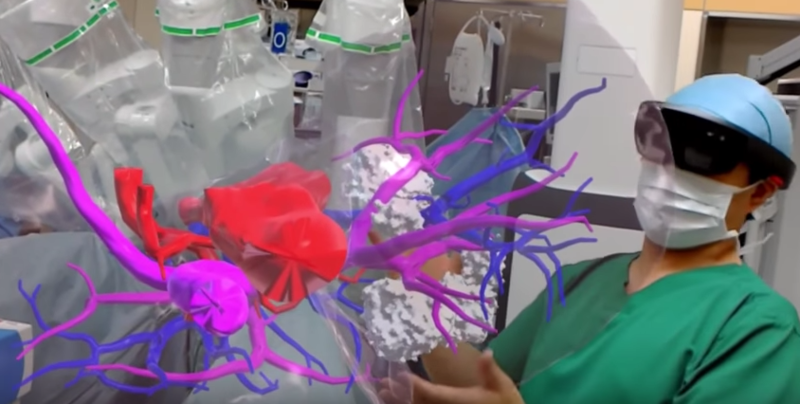 Mixed reality allowed doctors to visualise patient-specific 3D models, before safely removing the tumour. 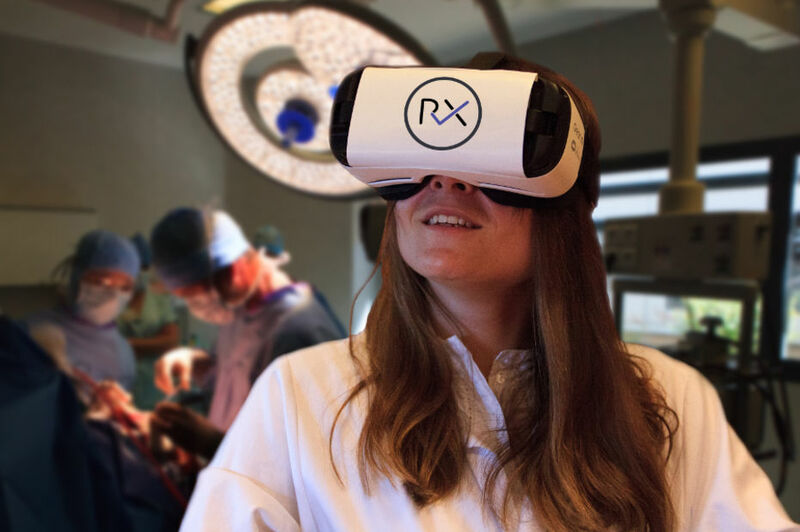 The Surgery app runs on Android and iOS, and requires a wireless VR headset. When wearing the headset, the student enters the operating room in the surgeon’s shoes. “When you wear the VR headset, you play the surgeon’s role, and you watch his movements as if it were you who was performing the surgical procedure. Even if you don’t actually perform the procedure, you brain remembers it and you gain knowledge”, said Dr Maxime Ros. At the moment, the company Revinax is recording surgical procedures and has around 40 videos so far. Ultimately, their goal is to remotely record the clips to send them directly to a VR platform. The project was presented to the European Health Parliament and was awarded the 2016 Best Start-up prize during the 2016 Laval Virtual exhibition (world-famous exhibition) among 36 start-ups of the AR and VR sector. Using VR to train tomorrow’s doctors is a major advance in training. Thee technology makes training more efficient with known cognitive measures and eliminates the issue of geographic hindrances.